The Land Camera 1000 is a foreign-markets version of the original Onestep model, meaning it has a fixed focus plastic lens. The model 1000 or original OneStep models are distinguished among the range in that they were made available with 2 different coloured shutter buttons – either green or red; there is some debate among collectors as to which was more common. A matching electronic flash was also released for the Onestep/1000 model, known as the Q-Light. 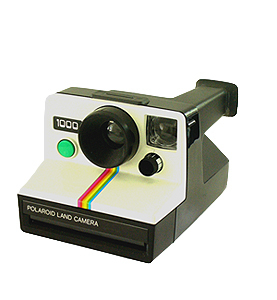 It fits onto any SX-70 non-folding camera model, but was cosmetically matched to the original models.